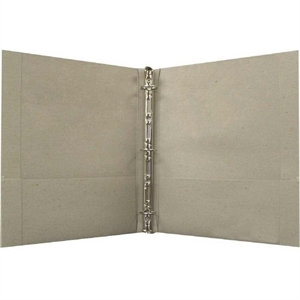 To make the right impression, put your next report or project inside of custom promotional binders. 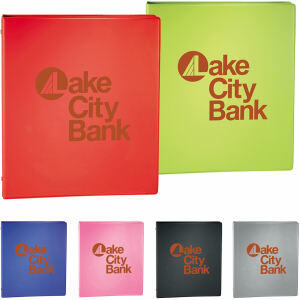 Custom printed binders are a promotional product that’s great for both businesses and schools. Before you distribute that big report, insert it in a customized binder and your work will stand out from the rest. 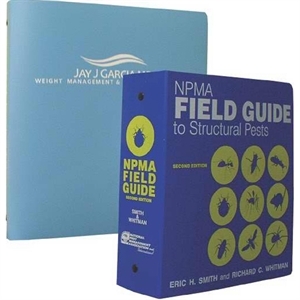 When you use logo imprinted binders to display your work, clients will immediately have respect for you and your organization. 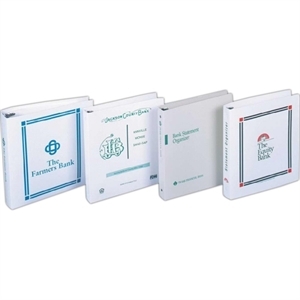 Customized promotional binders are a great way to make a professional impression that will further your brand and company on the road to success. 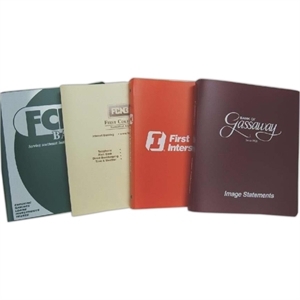 Help clients, employees, or students keep documents and school notes organized by personalizing custom promotional binders with your imprinted school or company name, logo and contact information. 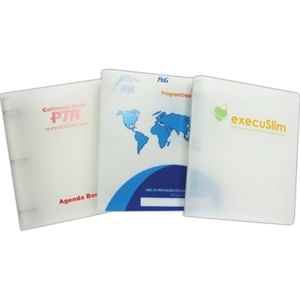 Our high quality promotional binders are available in different colors and sizes so students can organize by class or keep everything in one big binder. Contact us today for help choosing the promotional product you need!